There are many factors that cause weight gain: couch potato lifestyle, unhealthy heating habits, addictions, injuries, baby weight gain and more. Have you added some weight in the last couple of months or years and looking to shed some of it? At times all you need is some motivation. Well, look no further. Check out these 8 weight loss success stories of different healthy-minded individuals who took different paths to achieve their ultimate goals. 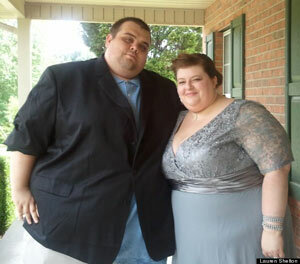 Tricia got married in 2006 and was weighing more than 200 pounds. In 2007, while she was pregnant, she developed a complication that resulted in four months of bed rest. During that period, she gained 75 pounds. When she went into the hospital to deliver her baby, she was weighing 300 pounds. Shortly after having her son, she and her family moved from Texas to Stuart, Florida. Because of being isolated from her extended family and friends, she resorted to food for comfort. 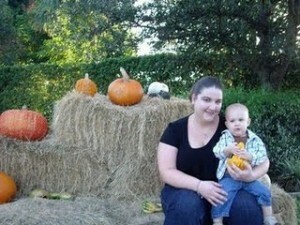 When her baby turned one, she had only dropped to 278 pounds. She was overwhelmed by how much weight she needed to lose. Turning point: In 2009, her doctor told her that she might need blood pressure medication. Her efforts to try and keep up with her son would leave her breathless. After realizing that her weight also affected her son, she decided to drop 100 pounds in one year. How she did it: Tricia gave up processed carbs and soda. At every meal, half of her plate would be filled with veggies. She started taking walks with her son. She was walking 4 to 6 miles daily and after three weeks, she had already dropped 20 pounds. Afterwards, she started using weights in 30-minute sessions, twice every week. By March, she was weighing 240 pounds and her blood pressure was back to normal. In September, she achieved her goal of losing 100 pounds. In March 2010, she weighed 150 pounds. Six months later, she ran and completed her first marathon. Tricia says brushing teeth helps prevent night snacking by making you less tempted to eat more. She also says that she didn’t think of giving up when she deviated from her diet. She would look forward to the next meal as a chance to bounce back. In her opinion, provided that you are trying, you are making progress. Ernie had always been overweight because he never watched what he ate. He ate a lot of fast food and sweets. Things started to change when he took notice of how often he would feel short of breath and sweat a lot. It was also hard for him to find clothes that could fit. He became unhappy and miserable. Turning point: One day, he got on a scale and found out he was weighing over 350 pounds. He was embarrassed to the point that he decided to make a change. How he did it: Ernie changed his diet completely. He made a switch from junk food to oatmeal, protein shakes made with protein powder and unsweetened almond milk, Greek yogurt, almonds, fruits, vegetables, chicken, fish and brown rice. He did a lot of reading on good and bad food. 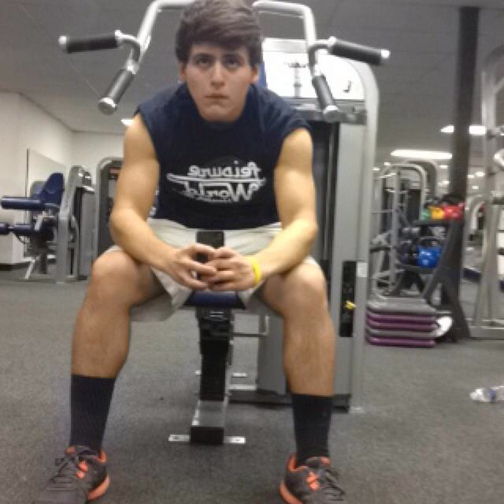 He also joined a gym, starting out with cardio on the bike and on the treadmill. He felt intimidated at first but got used to the machines with time. Currently, his plan involves more of weightlifting. He works out in the morning before going to work, five to six days a week. His weight loss plan helped him lose 157 pounds. He now weighs 195 pounds. He says he feels better than ever before and has much more energy. MORE: Check out these 10 healthy snacks you can enjoy. Gina used to be a skinny kid. This changed as she grew up and got to her 20s. Her weight wildly fluctuated thanks to lots of inactivity, binge eating and hiding food. In 2005, when she stopped smoking, she started gaining a lot of weight. It fell to a record low after she delivered her twins. However, depression set in and made her regain weight. She ate anything and everything. She would leave work a bit early and stop at the Taco Bell drive-thru to order an extra large soda, a Doritos Locos Taco, Nachos Supreme and Stuft Burrito. At home, she’d still have a full dinner. Turning point: Some of her co-workers made a decision to see an endocrinologist who had been licensed to prescribe a new weight loss pill. In February 2013, having just turned 30, she decided to make an appointment. When she stepped on the scale, she was shocked to find that she weighed 296 pounds. She was given the pill but opted to do without it and look for her own way to lose weight. 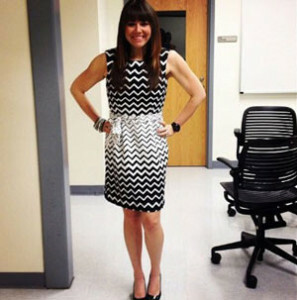 How she did it: Gina signed up for MyFitnessPal, an app that helped her count calories. She started walking more despite the back pain she got at first due to her weight. She even signed up for a local MS walk and after four months, she had already reached the three mile mark. She incorporated more whole foods into her diet. She started and completed Jillian Michaels’ 30 Day Shred. She created a Facebook page for her weight loss and got followers. She signed up for her first 5K and started running. By the day of the race, she was weighing 199 pounds. She actually completed the race. Her blood pressure is now perfect and she’s moved from an XXXL to a small or medium top, and from size 24 to size 10 pants. She currently weighs 159 pounds. Chris Ross, the executive chef of Bristol Catering in Louisville, Kentucky, grew up on mashed potatoes, collard greens and fried chicken in rural Kentucky. 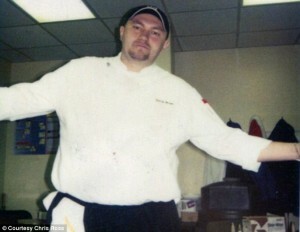 He started gaining weight after high school while he was working as a waiter and later on as a cook. 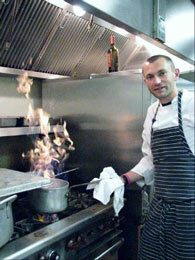 While in college, he would go home to watch the Food Network in between classes. He ignored signs of his weight gain such as his clothes not fitting. Turning point: In late 2004, he stepped on a scale and it couldn’t register his weight. It could only register a maximum of 300 pounds. When he found another one, he was surprised to find that he weighed 327 pounds. How he did it: Ross replaced his usual Coke with Coke Zero. This made him lose 10 pounds after several months. He heard about the book “French Women Don’t Get Fat” by Mireille Guiliano on the Oprah Winfrey Show. He got the book and started reading it. From it, he got tips such as walking more, drinking more water and eating smaller portions. He tried to incorporate them into his life by drinking eight glasses of water daily and taking an hour-long walk before or after work. The book helped him lose 20 pounds. He decided to do a tally of the calories he consumed from tasting his dishes on a daily basis. After finding out he took in more than 4,000 calories, he started spitting his tastes discreetly into the trash. He started jogging after hitting 250 pounds. After dropping 10 more pounds, he ran a 5K race. Later on, he and his fiancée began taking Zumba classes. In July 2011, when he and his fiancée were having their wedding, he was weighing 190 pounds. He says that consistent loss of weight is achieved by developing moderation and portion control. According to him, you must eat what you want to, but must try and maintain control. Gabi Rose was overweight for more than 12 years. She suffered a broken ankle on several occasions, had recurrent asthma attacks and developed rosacea. Even her hair was no longer growing. During her four pregnancies, she had numerous complications. During her last pregnancy, she was weighing close to 300 pounds. Her daughter Rachel also had weight problems. While in third grade, she was forced to shop for clothes in the older women’s section. 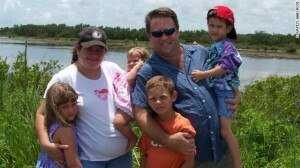 The family’s typical meals were frozen pizza, chicken nuggets, cheese and chicken lasagna. The neighborhood kids loved coming to their place because they had so much junk food. Turning point: Rose tried out commercial programs which bore no fruit. 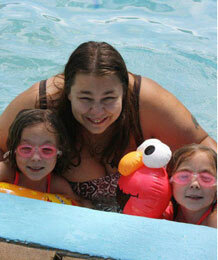 In 2005, she had a near-fatal asthma attack while driving her children home. She didn’t have her inhaler. She had to pull over and call her husband to come to her rescue. After this experience, she decided to get rid of her weight. How she did it: Previously, Rose didn’t cook much. The family now cooks together. Every single meal has a salad. Rachel stopped buying two ice cream snacks for lunch while at school. Now she carries her own homemade lunch and makes healthy smoothies. They have also adopted an active lifestyle. The family rides bikes together in their neighborhood and goes on outdoor activities such as obstacle courses and white-water rafting. They started going to a family gym where they work out together. In the last 2 years, they have also run several 5K races. In January 2014, Rose was weighing 145 pounds. She has traveled extensively and spoken to many people on how to make healthy changes. Rose’s health and fitness changes helped her husband lose 80 pounds. Rachel lost 50 pounds from 2009 to 2011. The family has lost a combined weight of 300 pounds. 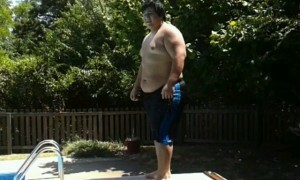 In fall 2012, Roni Tarver weighed 235 pounds. Back pain was a constant problem in her life. She had to take 10 to 15 ibuprofen on a daily basis. Being a relatively new teacher, she was on her feet for most of the day. She therefore had to deal with a lot of stress and exhaustion. Turning point: Her husband had never made her feel bad about her weight. However, on one night in November the same year, she found herself crying in bed. Her husband told her that to him, she was beautiful but if she was unhappy with her weight, then she had to do something about it. This stirred up something in her. How she did it: The following day, Roni began walking or riding the stationary bike six days a week. She also monitored her calories. In January 2013, she started going to the gym. She later signed up for Zumba class. She loved the classes. She sampled every available class and would dance herself to exhaustion. 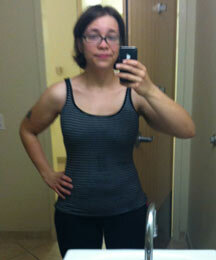 She supplemented the classes with one or two nights of lifting weights and working out on the elliptical machine. She changed from fast food to grilled chicken or salmon and vegetables. At school, she would have a protein bar or shake for breakfast, and a fruit such as a banana, pear, apple or clementines for a snack. She had an app on her phone to help her keep track of her calorie intake. She stuck to between 1500 and 1700 calories per day. She also stopped taking dairy products. After a few months, she started allowing herself to have one cheat meal every week. Currently, she is less stringent on her weekend diet. Roni dropped to 135 pounds in just 14 months. She switched from wearing size 22 to size 6 pants. Her body fat also reduced from 42% to 21%. Currently, her weight varies between 130 and 135 pounds. Her advice to those having weight issues is to find an activity that they love doing and to never give up. MORE: Even celebs use this all natural weight loss system. Want to know what it is? Then click here. This one is my favourite. Justin and Lauren Shelton met online. One factor that brought them together was their unhealthy eating habits. They often went out and indulged in unhealthy meals. At her heaviest, Lauren weighed 341 pounds. 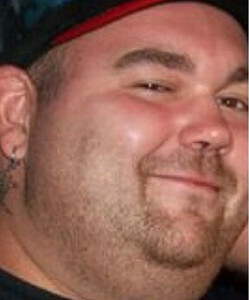 When Justin was 25, he weighed 592 pounds. Their size made them prohibited from getting on rides at the theme park. 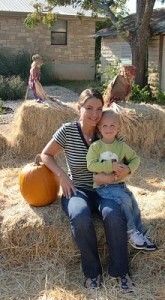 Lauren had her gall bladder removed because of complications that were brought about by her weight. Turning point: Two years after his wife had undergone surgery, Justin felt ill and was taken to the emergency room. Doctors suspected he had a kidney infection. They tried to perform a scan on him but unfortunately, the imaging machine could not handle his weight. The doctors decided to aggressively treat his kidney infection even though they weren’t sure if indeed, that was his problem. Luckily for him, they were right. This incident made triggered his decision to control his weight and health. This happened in February, 2012. How they did it: The Sheltons sought assistance from a local medical school. A physician’s assistant gave them diet and exercise guidelines. They started doing simple activities like swimming and walking. In late 2012, they started going to the gym six days a week. They only took one day off to do fun activities like hiking or swimming. They cooked all meals and only ate out on special occasions. They used an app to keep track of their calorie intake. Their diet consisted of lots of fruits and vegetables, and lean meats. In the first month, Justin dropped 25 pounds whereas Lauren dropped 30 pounds. 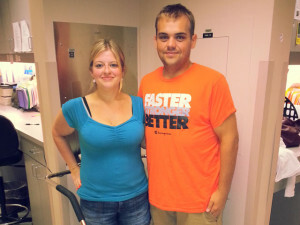 In 19 months, Justin lost 362 pounds whereas Lauren lost 176 pounds. They lost a combined 538 pounds. Justin changed from size 58 to size 36 pants. Lauren changed from a size 32 to a size 12 dress. The couple indulges in an unhealthy meal once in a while. On Sundays, they have a special meal where they eat something they don’t usually cook during the week. Lauren says that no matter how many times one messes up, he or she just needs to start over and remember that they’re human and nobody’s perfect. This teen grew up being a fat kid and it was tough. 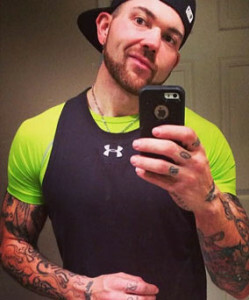 In high school, he developed depression symptoms as a result of being bullied in gym class. His whole family had weight issues. Both of his parents had type 2 diabetes in their forties. Edgar’s diet consisted of burritos, sandwiches, cheese, sour cream, bread and butter. He also loved watching TV and playing video games. Turning point: In November 2012, when he was 16 and weighing 370 pounds, he underwent a blood test and it was established that he was pre-diabetic. His mother broke in tears at the doctor’s office. When Edgar got home, he cried. He decided to take full responsibility of his weight problem. He put on his jacket and started jogging. However, after about half a mile, he stopped and threw up. How he did it: After the impulse jog, Edgar started walking before or after school. When he could, he added distance. Eventually, he started walking about two miles daily. He incorporated running intervals into his walks. After several months, he could run a full mile. His desire to change inspired his older brother Mario. Together, they replaced the family’s staple diet of sodas and processed foods with fresh produce and chicken breasts. He had a peanut butter sandwich with honey and banana slices for breakfast. Chicken breast and two cups of broccoli usually featured in his dinners. His focus was on portion sizes and not calorie count or diet. In January 2013, the brothers started running together. They still run together. Mario has dropped 70 pounds. Edgar has dropped close to 200 pounds and now weighs 185 pounds. The weight loss has inspired the whole family. The family now eats out only once in a couple of weeks. Previously, they would eat out four to five times a week. They also walk a little more as a family. 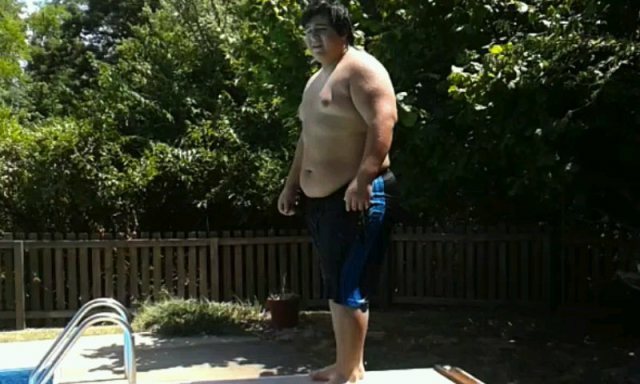 Edgar, now 18, advises people not to put off losing weight otherwise they’ll have to act when something serious that will change their lives happens. Which of the above weight loss success stories inspires you the most? 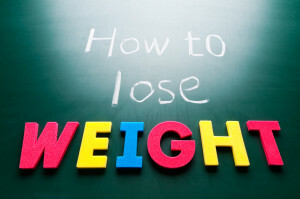 Which strategies do you consider incorporating to your weight loss plan? Feel free to give us your feedback or share your weight loss story in the comment section below.